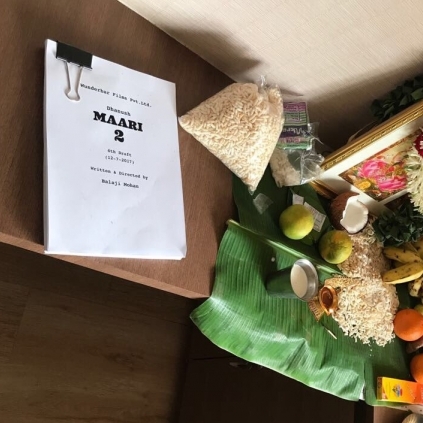 Director Balaji Mohan who recently delivered the webseries As I am suffering from Kadhal, has begun work on the sequel of his Dhanush starrer Maari. He had earlier stated that he would soon begin this project. Today, he confirmed the same with a tweet that read, “With ur blessings & continuous love for #Maari starting work on #Maari2! @dhanushkraja#2YearsOfMaari@WunderbarFilms_ @vinod_wunderbar”. Maari had Dhanush, Kajal Aggarwal, Robo Shankar and others and Anirudh’s music was the greatest plus for the film. We wish the team of Balaji Mohan and his Maari2, a grand success! People looking for online information on Balaji Mohan, Dhanush, Maari, Maari 2 will find this news story useful.